The Prestashop prefer delivery time addon enhances the user experience. This Prestashop module has been designed to provide the best shipping and delivery experience to your customers by letting them choose the desired date and time slot for receiving the purchased product. The Preferred delivery date Prestashop addon is a perfect solution for selling some special products like birthday gifts, anniversary gifts, and flowers, etc. 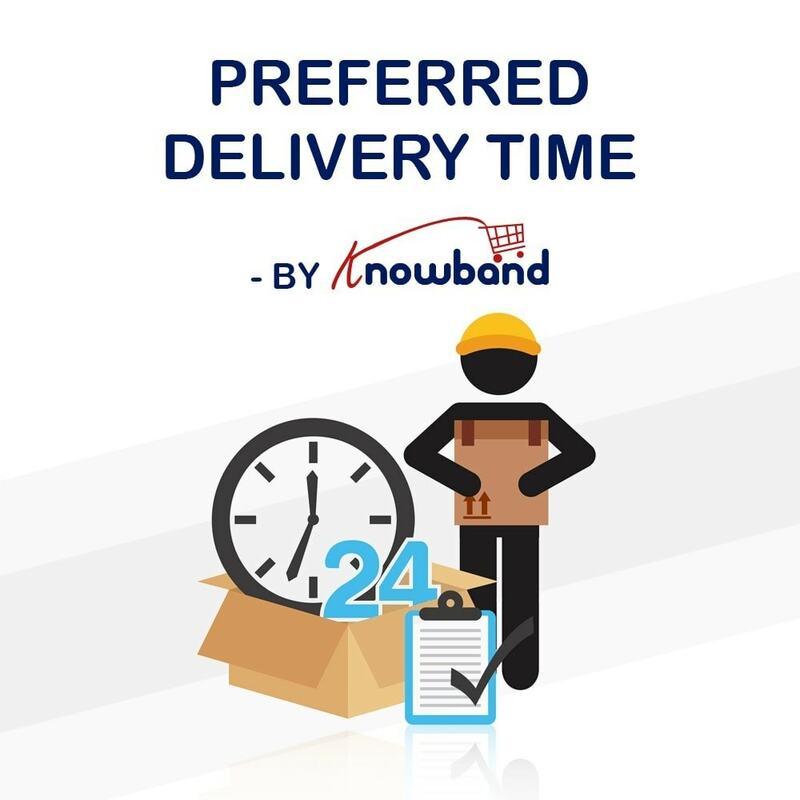 Moreover, there are several occasions when a customer might not be available to receive the delivery during a particular time period. For example, I can place an order before going for a vacation and set a delivery time right after I am back from the vacation. - It helps you to improve your delivery service experience. - It adds to the user engagement optimization of your store. - It helps in eliminating the shipping related cart abandonment issues. - It creates a positive impact on your customers about the shopping experience on your site. - Providing the desired delivery time selection would act as your USP and an add-on to your value proposition. Allows your customers to choose the desired delivery date and time slot. Customers can select their desired delivery preferences on the checkout page. Customers can also update their desired delivery preferences after placing the order if allowed by admin. Customers get a calendar input to select the desired delivery date. Customers can select the time slot by choosing them from a drop-down list. The admin can configure the ‘time slot range’. For example, if time slot range is 2 hours, it will be shown at 8-10 AM, 10-12 AM, 12-2 PM etc. Admin can set up the start delivery and end delivery time of the day. For example, if start is 8:00 AM and end is 9:00 PM, customers can select the time slots falling under this range only. Admin can make delivery time field Optional or Mandatory. Admin can set ‘Delivery Days Gap’ between the order date and preferred delivery date. Customers cannot select a delivery date falling under the Delivery Days Gap. For example, if it is 4 days, then customers are allowed to select the dates falling after 4 days from the date or purchase. Admin can show or hide the time slot selection from the front end. Admin can mark particular days of the week as “Delivery not available during these days”. Configurable email template to customize the email to be sent to the customers. Selected delivery date and time is also shown in the email sent with order confirmation email. The module also works well on HTTPS-enabled sites due to its SSL Compatibility. You can also use this module on your Multi-Store enabled site. It is compatible with all PrestaShop themes. It also compatible with Multi-Language support on PrestaShop. Prestashop store locator and pickup addon allows store owner to provide store pick-up option to the customers. The customers can easily view the nearest store on the Google map and pickup the product easily. They will love the option to select the custom delivery date and time. Allows customers to easily order the giftable items and get them delivered on specified dates only. They will also like the option to update their preferred delivery time even after placing the order. Customers can place an order before going out of the station and choose to receive it once they are back.